Shyness and self-restraint aren’t her attributes, along with a whole lot of other dubious qualities. Revealed email content she sent and received on official State Department business as its head using her private account increasingly is coming back to haunt her – perhaps enough to derail her presidential bid along with much more about her disreputable private and public affairs, repeatedly crossing the line of legality, propriety, ethical standards, common decency and good sense. It’s hard imagining a worse head of state – a totally unacceptable candidate, a sort of Manchurian one programmed to “assassinate” world peace, stability and security. Perhaps primary voters will eliminate her from contention. Unfortunately, other candidates are just as reprehensible – not a people’s choice in the bunch from either major party, the usual hacks across the board assuring business as usual. Political criticism using pejoratives isn’t out of the ordinary – only when what was meant to be private becomes public information. Hillary’s received and sent email revelations are far more than a sideshow while campaigning for the nation’s highest office. They’re another example of why voters increasingly don’t trust her. She reflects virtually everything ordinary Americans should oppose. There’s nothing redeeming about her. She reflects pure evil. Pejoratives her confidant Sidney Blumenthal used via emails to her to describe British Prime Minister David Cameron and London Mayor/MP Boris Johnson weren’t what political aspirants want made public. Cameron is “aristocratic, unsure, inexperienced, oblique and largely uncommitted.” Johnson is a “Tory clown,” said Blumenthal. Blumenthal and Clinton discussed via email wanting (unindicted war criminal, hugely unpopular at the end of his prime ministerial tenure) Tony Blair to become EU president. Both nations partner in each other’s crimes. It’s traditional whether Democrats or Republicans run America – Tories or Labour in Britain. 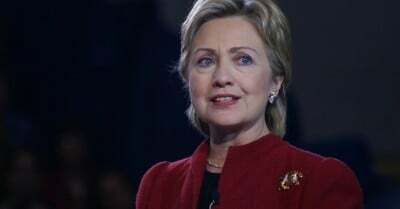 These and other revelation were among the thousands of pages of emails Clinton gave the State Department earlier this year – following the controversy over using her private email system for official business, a hugely indiscreet (perhaps illegal) practice. She remains the frontrunner for her party’s presidential nomination. Her disturbing baggage could derail her. As first lady, US senator and secretary of state, her deplorable record speaks for itself.